Recently we published in the Animal Journal, an article analyzing Bovine Lymphocyte antigen (BoLA) region of the Brangus cattle. We used LAMP-LD (Local Ancestry Inference in Admixed populations) which is a window-based algorithm combined within a hierarchical Hidden Markov Model to represent haplotypes in a population and allows to estimate enrichment from two parental populations. The ancestral haplotype is the one which appeared first in the parental populations. As we do not know which one it is, we assume it is the most abundant combining both of them, and considering its association to the mixing ratio. In the script below, we analyzed MHC regions (this is chromosome 23 for Cattle) and generated a histogram plot on annotating the ranges on these regions. The script was adapted for general usage, and each step is commented. For replicating the workflow into your Bioinformatics experiments, you will need the reference alleles of your SNPs. 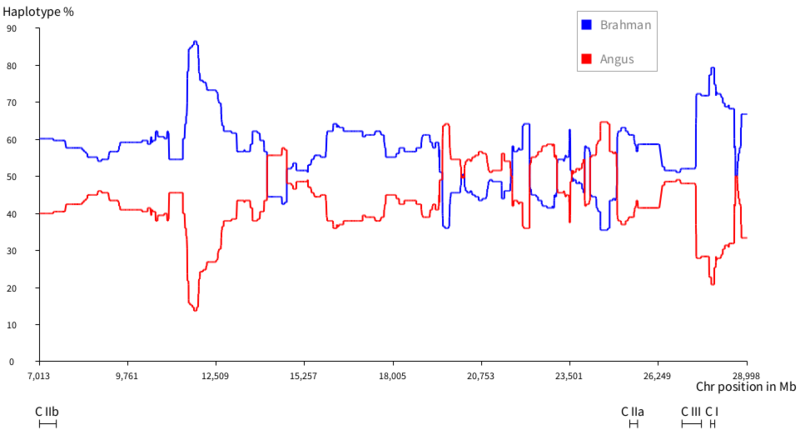 Here, we extracted them from the Affymetrix TXT report, exported from the Axiom Analysis Suite software. The PLINK wrapper is used to filter families of interest and genotyping error rate. Our cattle families are labeled as 'AA' for Angus, 'BRANG' for Brangus and 'BRAH' for Brahman respectively. If you do not have family information in your PED file, then you will have to add it manually or using tools like UNIX command-line utilities (cut, paste, etc). We also calculated the effective population size for each family (which is commonly referred as "Ne" in the literature) and used as parameter of ShapeIt. Plotting was performed using the ROASSAL visualization engine, for which I should thank to Alexandre Bergel for its tireless help with their impressive API.
" Base directory for all input and output files "
" Axiom Analysis Suite TXT Report "
reportFile := baseDir , 'AAS_report.txt'. 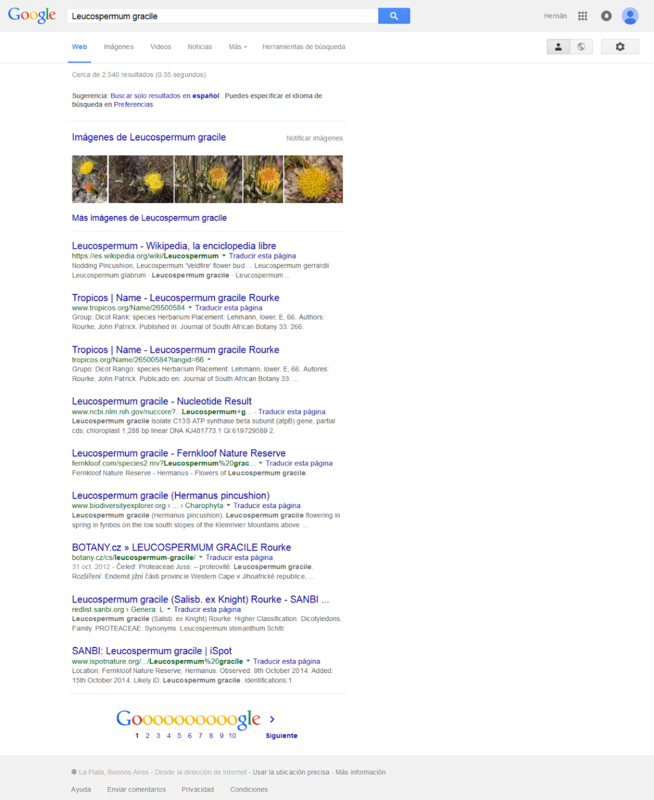 alleleAFile := baseDir , 'allele_A.txt'. plinkFile := baseDir , 'Bos1_REF-FINAL'.
" Extract Allele_A column from Affymetrix report file to use it as reference alleles "
" Build the PLINK BED file with reference alleles "
" The SNPs_BoLA_Bos1-annotdb32.txt is just a text file used to extract the SNPs of interest in the MHC region from the Microarray output "
" Apply families of interest filter "
" Apply basic genotyping error rate filter  "
" Regenerate BED for duplicated BRAH lines "
" Split data set into 3 separate BED files by family "
" Run ShapeIt with Ne parameters "
" Generate .GENO file for LAMP-LD "
" Extract positions to build .POS file for LAMP-LD "
to: (baseDir , 'Bos1_REF-FINAL-Atsm_GINO-chr23_MHC.pos') asFileReference writeStream.
" Transpose HAPS files "
" ... to be included "
" Convert positions to mbases "
src/modes/phaser/phaser_algorithm.cpp:147: void phaser::phaseSegment(int): Assertion `conditional_index[segment].size() > 5' failed.
" First, you split data set into 3 separate PED files by family, but recode the file as textual format (PED) "
" Create a new temporary file "
copyTo: (baseDir , 'Bos1_REF-FINAL-BRAH_Atsm_GINO-chr23_MHC.nwped') asFileReference.
" Duplicate BRAH lines with different IDs "
tkl := line findTokens: Character tab. newId := 'A' , tkl second. tkl at: 2 put: newId.
" Rename again to the original file "
(baseDir , 'Bos1_REF-FINAL-BRAH_Atsm_GINO-chr23_MHC.nwped') asFileReference renameTo: baseDir , 'Bos1_REF-FINAL-BRAH_Atsm_GINO-chr23_MHC.ped'. The rehh (Relative Extended Haplotype Homozygosity) R package provides several scores for detecting recent natural positive selection taking as input SNP data. Resulting regions with high p-values can be considered as candidates for selective sweeps. The following BioSmalltalk script reads rehh output files from ihs and rsb functions (ihh2ihs() or ies2rsb()), and for each chromosome, collects peaks given by p-values to generate an UCSC BED file (Browser Extensible Data). 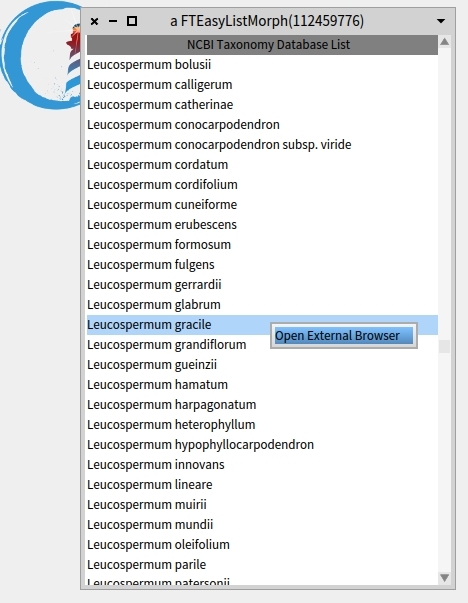 BED files can be used to view the genome annotations in significant regions using Genome Browsers, such as the Animal Genome Browser, through the "add custom track" option. inputFilename := 'chr_' , chrNumber asString , '.rsb.txt'. outputFilename := 'peaks_chr' , chrNumber asString , '.bed'. One of the latest additions in BioSmalltalk is a wrapper for running the well-known ShapeIt2 software (actually is ShapeIt v2). 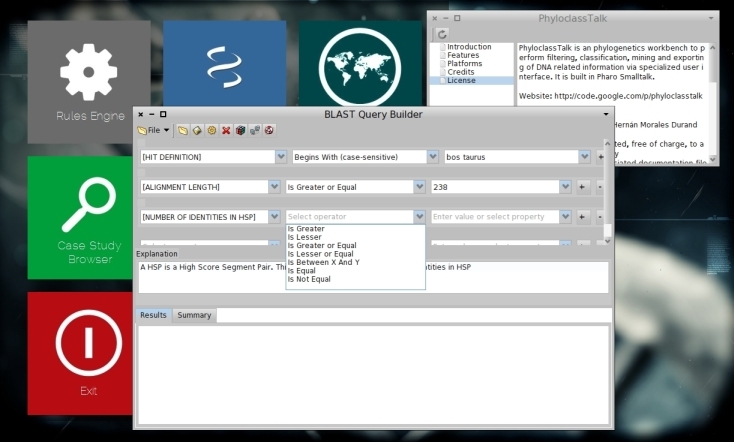 ShapeIt is a fast and accurate method for estimation of haplotypes (a.k.a. phasing) from a set of SNP genotypes (.ped format or its .bed/.bim/.fam binary version) and a genetic map (.map format), and produces as output, either a single set of estimated haplotypes, or a haplotype graph that encapsulates the uncertainty about the underlying haplotypes. The software is currently only available in Unix-like OS. PhyloclassTalk, an open-source phylogeographic text-mining system based in BioSmalltalk, was used in veterinary forensics to solve a homicide! The September 2016 issue of Legal Medicine includes an article which fully describes the case in detail. PhyloclassTalk was used to narrow blasted sequences of the species (Canis Familiaris) and extract proper meta-data (Breed names) from NCBI's GenBank. A hand-crafted database of dog breeds was built and integrated into a PhyloclassTalk repository to classify (by breed name) and observe the ones located in Argentina, where the sample of and individual was found in a crime scene. 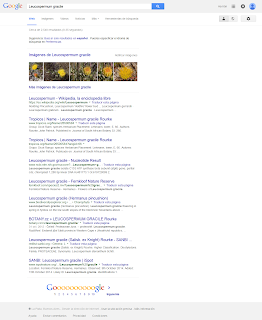 Finally it was also used to build and export the results to Arlequin format. 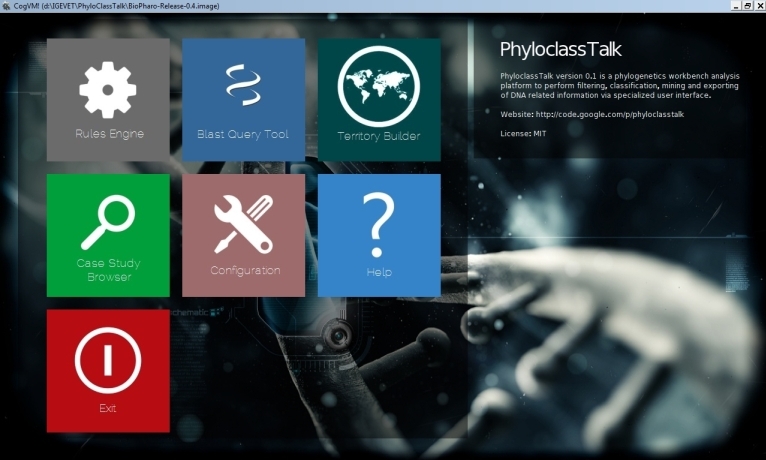 PhyloclassTalk paper is almost completed, meanwhile a beta release of the software can be downloaded from its web site. I have created the BioSmalltalk repository in GitHub so you can clone and contribute from there. I hope this will make it easy for interested parties to contribute to this code or to specialize it to their own needs. Regular distributions will still be made at Google Code (for now) but if you want the absolute latest changes, GitHub will be the place to go. If you are interested, please feel free to get involved. Arlequin is a famous software for population genetics data analysis. The file format is well documented in the Arlequin's Manual, so I will not duplicate information here. Writing an Arlequin file consists of basically generating a customized INI file with both Profile and Samples sections.
" ... profile configuration messages ... ".
" ... you guessed it ... "
it seems pretty simple, but in practice you will not type the hundreds of samples in a typical Arlequin data set. You would like to iterate your input data. idCollection := #('OT1' 'B1' 'A1' 'CH1' 'J1' 'USA1' 'OT2' 'OT3' 'B2' 'A2' 'A3' 'A4' 'USA2' 'USA3' 'USA4' 'USA5' 'USA6' 'USA7' 'OT4' 'B3' 'B4' 'B5' 'A5' 'J2' 'J3' 'USA8' 'USA9' 'USA10' 'USA11' 'USA12' 'USA13' 'B6' 'C1' 'J4' 'USA14' 'OT5' 'OT6' 'B7' 'CH2' 'CH3' 'A6' 'CH4' 'A7'). frqCollection := #(5 5 6 3 2 11 1 2 1 1 1 1 1 2 1 1 1 1 5 2 1 1 1 1 1 1 1 4 1 1 1 3 1 1 2 4 3 1 1 1 1 1 1). samplesCollection := #('ATCTAGCAATACTGTTTTGTCTTCTATCGTCAACCATT' 'ATCTAGCAATACTGTTTTGTCTTCTATCGTCACCCATT' 'ATCTAGCAATACTGTTTTGTCTTCTATCGTCACCCATT' 'ATCTAGCAATACTGTTTTGTCTTCTATCGTCACCCATT' 'ATCTAGCAACACTGTTTTGTCTTCTATCGTCACCCATT' 'ATCTAGCAATACTGTTTTGTCTTCTATCGTCACCCATT' 'ATCTAGCAATACTGTTTTGTCTTCTGTCGTCACCGATT' 'ATCTAGCAATACTGCTTTGTCTTCTATCGTCACCCATT' 'ATCTAGCAATACTATTTTGTCTTCTATCGTCACCCATT' 'ATCTGGCAATACTGTTTTGTCTTCTATCGTCACCCATT' 'ATCTAGCAATACTATTTTGTCTTCTATCATCACCCATT' 'ATCTAGCAATATTGTTTTGTCTTCTATCGTCACCCATT' 'ATCTAGCAATACTGTCTTGTCTTCTATCGTCACCCATT' 'ATCTAACAATACTGTCTTGTCTTCTATCGTCACCCTTT' 'ATCTAGCAATACTGTCTTGTCTTCTATCGTCATCTATT' 'ACCTAGCAATACTGTCTTGTCTTCTATCGTCACCCATT' 'ATCTAGCAATTCTGTCTTATCTTCTATCGTCACCCATT' 'ATCTAGCAATACTGTCTTATGTTTTATCGTCACCCATT' 'ATCTAGCAATACTGCCTTATCTTTTATCGTCACCCACT' 'ATCTAGCAATACTGTCTCATTTTTTATCGTCACCCATT' 'ATCTAGCAATACTGCCTTATCTTTTATCGTCACCCACT' 'ATCTAGTAATACTGCCTTATCTTTTATCGTCGCCCATT' 'ATCTAGCAATACTGCCCCATCTTTTATCGTCACCCATT' 'ATCTAACAACACTGCCTTATCTTTTATCGTCACCCATT' 'ATCTAGCTGTACTGCCTTACCTTTTATCGTCACCCATT' 'ATCCAGCAATACTGCCTCATCTTTTATCGTCACCCATT' 'ATCTAGCAATACCATCTTATCTTTCATCGTCACCCATT' 'ATCTAGCAATACTGCCTTATCTTTTGTCGTCACCCACT' 'ATCTAGCAATACTGTCTTACCCTTTATCGTCACCCATT' 'GTCTAGCAATACTGTCTTACCTTTTATCGTCACCCATT' 'ATCTAGCAATACTGTCTTATCTTTTATCGTCACCCGTT' 'ATTTAGTAATACCGTCTTATCTTTTATCGTCACCCATT' 'ATCTAGCTATACTGTCTTATCTCTCATCGTTACCCATT' 'ATCTAACAATACTGCCTTATCTTTTATCGTCACCCACT' 'ACCTAGCAATACTGTCTTATCTTTTATCGTCATTCATT' 'ATCTAGCGATACTGTCTTATCTTTTATCACCACCTATT' 'ATCTAGCGATACTGTCTTATCTTTTATCACCACCCATG' 'ATCTAGCGATACTGTCTTATCTCTTATCACCACCTATT' 'ATCTAACAACACTGTCCTATCTTTTATCGTCACCCACT' 'ATTTAACAATACTGTCCTATCTTTTATCGTCACCCACT' 'ATTTAGCAATACTCTCCTATCTTTTACCGTCACCCACT' 'ATTTAGCAATACTGTCCTATCTCTTATCGTCACCTACT' 'ATTTAGCAATGCTGTCCCATCTTTTATTGTCACCCACT').
" Export contents into a file "
populations := #('OT1' 5 'ATCTAGCAATACTGTTTTGTCTTCTATCGTCAACCATT' 'B1' 5 'ATCTAGCAATACTGTTTTGTCTTCTATCGTCACCCATT' 'A1' 6 'ATCTAGCAATACTGTTTTGTCTTCTATCGTCACCCATT' 'CH1' 3 'ATCTAGCAATACTGTTTTGTCTTCTATCGTCACCCATT' 'J1' 2 'ATCTAGCAACACTGTTTTGTCTTCTATCGTCACCCATT' 'USA1' 11 'ATCTAGCAATACTGTTTTGTCTTCTATCGTCACCCATT' 'OT2' 1 'ATCTAGCAATACTGTTTTGTCTTCTGTCGTCACCGATT' 'OT3' 2 'ATCTAGCAATACTGCTTTGTCTTCTATCGTCACCCATT' 'B2' 1 'ATCTAGCAATACTATTTTGTCTTCTATCGTCACCCATT' 'A2' 1 'ATCTGGCAATACTGTTTTGTCTTCTATCGTCACCCATT' 'A3' 1 'ATCTAGCAATACTATTTTGTCTTCTATCATCACCCATT' 'A4' 1 'ATCTAGCAATATTGTTTTGTCTTCTATCGTCACCCATT' 'USA2' 1 'ATCTAGCAATACTGTCTTGTCTTCTATCGTCACCCATT' 'USA3' 2 'ATCTAACAATACTGTCTTGTCTTCTATCGTCACCCTTT' 'USA4' 1 'ATCTAGCAATACTGTCTTGTCTTCTATCGTCATCTATT' 'USA5' 1 'ACCTAGCAATACTGTCTTGTCTTCTATCGTCACCCATT' 'USA6' 1 'ATCTAGCAATTCTGTCTTATCTTCTATCGTCACCCATT' 'USA7' 1 'ATCTAGCAATACTGTCTTATGTTTTATCGTCACCCATT' 'OT4' 5 'ATCTAGCAATACTGCCTTATCTTTTATCGTCACCCACT' 'B3' 2 'ATCTAGCAATACTGTCTCATTTTTTATCGTCACCCATT' 'B4' 1 'ATCTAGCAATACTGCCTTATCTTTTATCGTCACCCACT' 'B5' 1 'ATCTAGTAATACTGCCTTATCTTTTATCGTCGCCCATT' 'A5' 1 'ATCTAGCAATACTGCCCCATCTTTTATCGTCACCCATT' 'J2' 1 'ATCTAACAACACTGCCTTATCTTTTATCGTCACCCATT' 'J3' 1 'ATCTAGCTGTACTGCCTTACCTTTTATCGTCACCCATT' 'USA8' 1 'ATCCAGCAATACTGCCTCATCTTTTATCGTCACCCATT' 'USA9' 1 'ATCTAGCAATACCATCTTATCTTTCATCGTCACCCATT' 'USA10' 4 'ATCTAGCAATACTGCCTTATCTTTTGTCGTCACCCACT' 'USA11' 1 'ATCTAGCAATACTGTCTTACCCTTTATCGTCACCCATT' 'USA12' 1 'GTCTAGCAATACTGTCTTACCTTTTATCGTCACCCATT' 'USA13' 1 'ATCTAGCAATACTGTCTTATCTTTTATCGTCACCCGTT' 'B6' 3 'ATTTAGTAATACCGTCTTATCTTTTATCGTCACCCATT' 'C1' 1 'ATCTAGCTATACTGTCTTATCTCTCATCGTTACCCATT' 'J4' 1 'ATCTAACAATACTGCCTTATCTTTTATCGTCACCCACT' 'USA14' 2 'ACCTAGCAATACTGTCTTATCTTTTATCGTCATTCATT' 'OT5' 4 'ATCTAGCGATACTGTCTTATCTTTTATCACCACCTATT' 'OT6' 3 'ATCTAGCGATACTGTCTTATCTTTTATCACCACCCATG' 'B7' 1 'ATCTAGCGATACTGTCTTATCTCTTATCACCACCTATT'). Don't forget to check BioArlequinFile convenience methods for building for different data types: #buildHaplotypicDataDNAProfileTitle: aString groups: aNumber missingData: missingCharacter #buildHaplotypicDataFrequencyProfileTitle: aString groups: aNumber missingData: missingCharacter And let me know any suggestions for improving the Arlequin API.